Ondrej Gavalda, graphic designer, has focused his work on visual identities, catalogues and books. He studied at the Department of Visual Communication at Academy of Fine Arts and Design in Bratislava, where he currently works as assistant professor. His artwork, "Constitution", was created during his studies at Academy as a response to the assignment exhibition called "Slovak rep" in 2008. Assigment of "Slovak rep" is not an assigment in a typical way. It is reather an intimate topic - the designer's soul probe. Its function is to find out how designers are reflecting cultural identity of their country of origin. The students were required to explore the problem, to get some vivid remains, evaluate existing conditions and finally solve the problem in new approach of content and visuality. The awareness of basic human rights and liberties is practical and useful, however, most of the Slovaks do not know their own rights. The constitution is the most powerful legal document, which is superior to all the other laws and aplies to every citizen without an exception. That is the reason why everyone should know it. Why is it not so? Is it clear and understandable for everyone? Is the available version of the constitution appealing for a reader? Do the Slovaks believe, that the government will warrant enforcement of what it says? 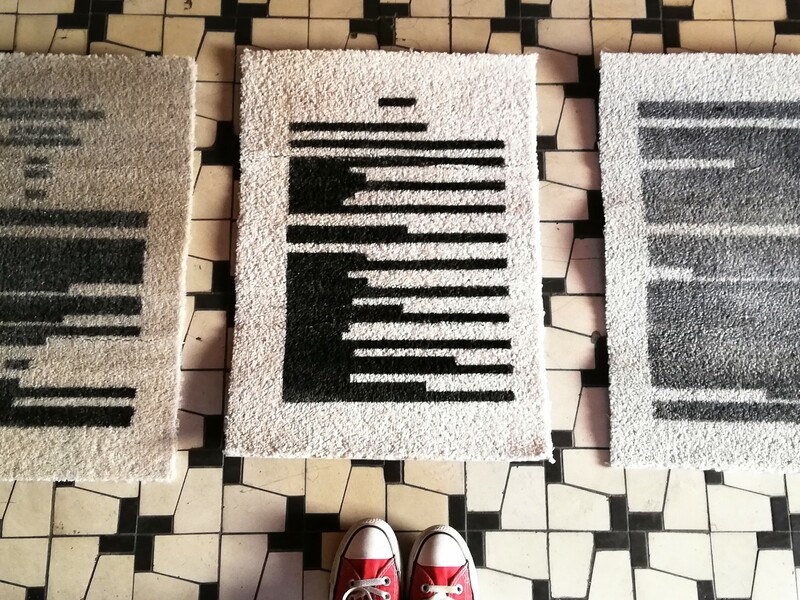 Ondrej Gavalda states this status and shows the young graphic designer´s perspective of cultural identity issues in our country. 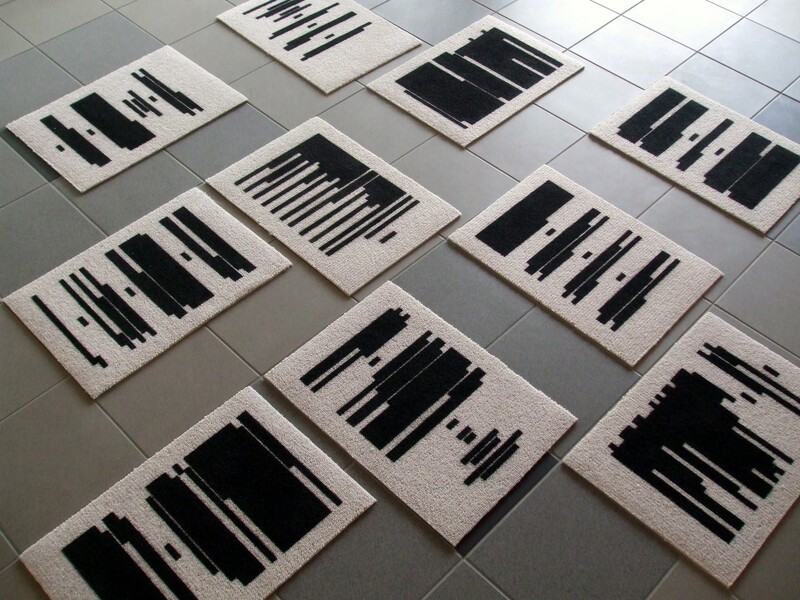 He sees the problem in lack of public awareness of importance and value of the Constitution.His artwork consists of multiple doormats with one page of the Constitution displayed on each. There are only black spaces, where letters are supposed to be. 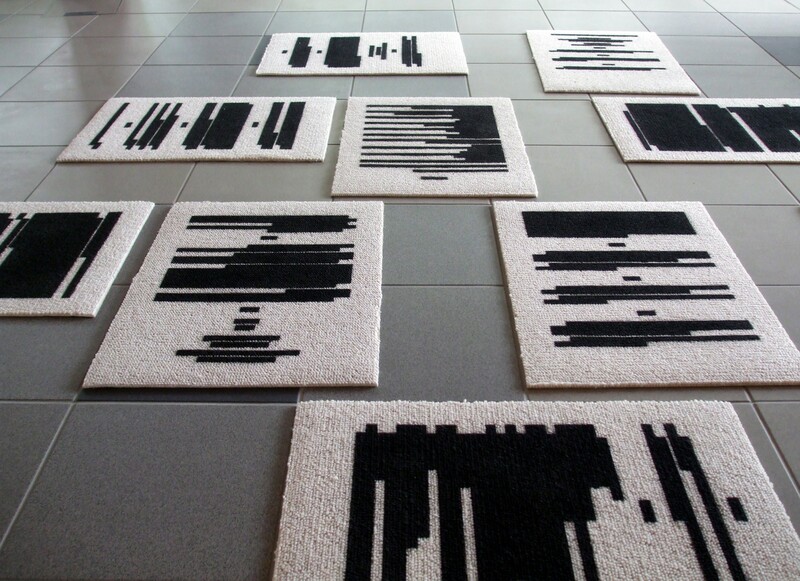 He uses a doormat metaphore as a criticism on the lack of Constitution awareness, in which the content is anonymous. Useless form and doubts about its utility, not much useful than just to wipe your shoes on it. 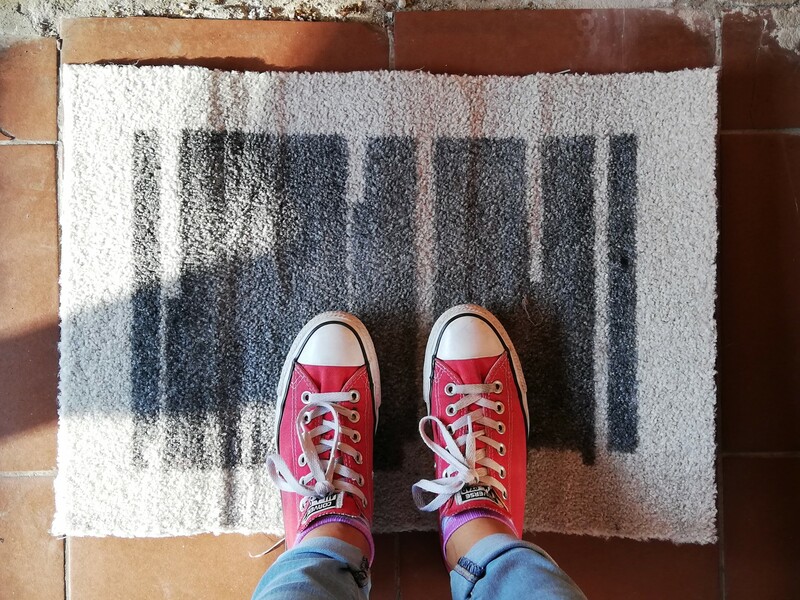 Confrontation with an observer should take place in open space – its possible to observe, walk around, use, walk on the constitution doormats or even clean his shoes on them. The "Constitution" work has a clear point and appropriately used means of communication. It shows the idea in simple, but apt way. This is achieved by using a metaphore and that is why it has a potential to be an understandable criticism for wide public, as intended target group.